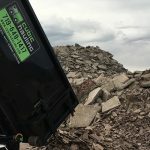 Ordering roll off dumpster service from Cubic Hauling is EASY! You have control over the entire process, and everything is done to be convenient for your schedule. (1) Dumpster Needs. 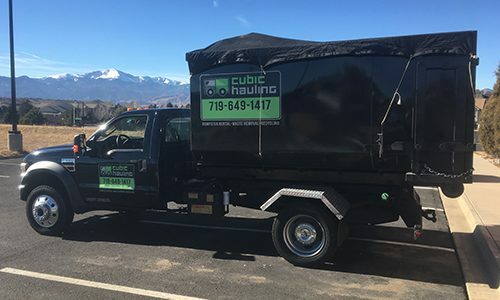 Call Cubic Hauling to speak directly to our professional staff located in Colorado Springs. We will discuss the dumpster size, delivery location, date and time, types of materials to dispose. (2) Ordering, Scheduling & Payment. Ordering. We will need to get information regarding the delivery location, dumpster size preference, and the types of material you wish to dispose. We will inform you on any restrictions regarding hazardous materials, and factors that could lead to additional charges regarding rental time limits, weight limits, and overloading. Scheduling. Cubic Hauling will then arrange a time to drop off the dumpster that is convenient for your schedule. Typically, the rental period is for 7 days and we automatically assume pickup of the dumpster on the 7th day. If you choose to have your dumpster picked up before the 7th day, just call prior to your scheduled pickup date and let us know. If you would like to add extra days past the 7th day please call and give us advanced notice of how many additional days you need, so that we can re-schedule the pick-up date, and inform you if there are any additional charges. Payment. Payment is required upon or before delivery. We accept Visa, MasterCard, Discover, personal or business checks, and cash. Our staff member can take credit cards over the phone, and process on site. (3) Delivery, Loading, and Pick-Up. Cubic Hauling will deliver the dumpster on the scheduled delivery date and time. We will safely place the dumpster in the location you have designated. Our pick-up and delivery process minimizes weight distribution on your driveway, and is designed fit ideally into the average residential driveway. Protection boards can be provided to protect your driveway. The footprint of the dumpster is about the size of a mini van. Easy Loading. Loading the dumpster is easy! One end of the dumpster opens up and you can walk in to load your items (you do not have to throw items over the top into the dumpster). If you need assistance with loading your dumpster, inquire about our Load N Go service. When we pick up the dumpster, we will inspect the contents, and if everything is fine, we hook the dumpster up to the truck’s hook lift and gently roll and lift it onto the bed of the truck. Choose the right size dumpster for your project. Plan your dumpster delivery and usage time. 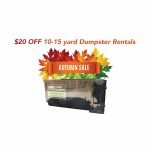 Determine pricing for your dumpster rental. Inform you of materials that can or can’t be put in the dumpster. If requested, we load dumpsters with Load N’ Go on-demand labor service. 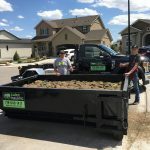 Cubic Hauling offers dumpster rental in Colorado Springs and the surrounding metro areas. We serve commercial & residential customers for construction cleanup, junk removal, hauling, recycling, waste removal, and more. Call today at (719) 649-1417 for a free estimate!